It is the end of a four-day holiday weekend. Pretty much everything is shut except restaurants. I’m sure those have done a fantastic business! The transportation department predicted that 400,000 cars would leave Barcelona for the weekend. And they did. 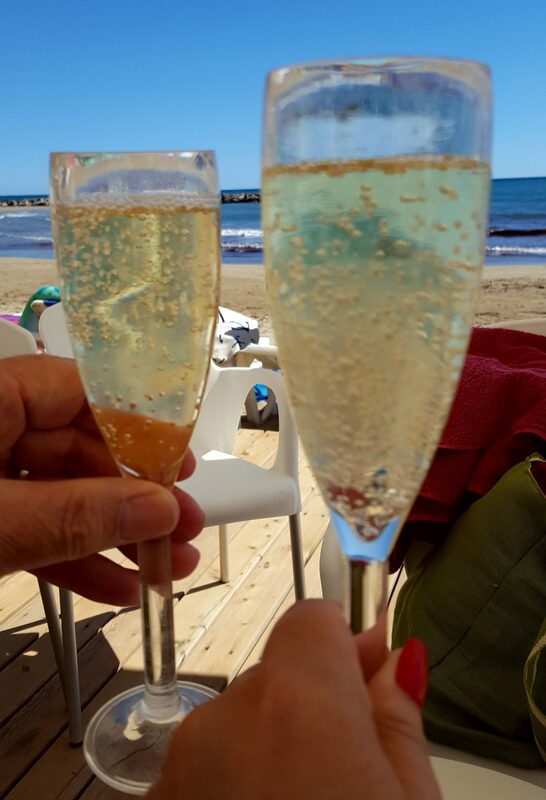 We discovered that first hand last year when on Good Friday we went to take our rental car back to the airport and the line of traffic leaving Barcelona headed towards Sitges and beyond was backed up to the airport which is over 25 km (15.5 miles) away. Thankfully there was another route we could take home. So, we learned to avoid Sitges on this weekend. Saturday it was horribly windy here. Winds of 30 mph (48 kmh). A day to stay huddled inside. Yesterday and today we have made up for it though. We took long walks both days. Yesterday we ventured into some areas we hadn’t been to before and found some great views of our village from a different angle. This is another hillside winery close by. Finca Valldosera. Love the terraces down the the hill. Lots of wide open spaces to explore. A bit of a fixer-upper. The leaves are really starting to burst on the vines. Today we went up to one of the stone huts that we love. It has wildflowers growing on the roof but more importantly at this time of the year it has Irises. By the time we knew of this last year they were already done so we have been watching it closely. I received a selfie stick for free from a former employer. I have never used it to take a selfie as they are not my thing. When we lived in North Carolina I used it to look under the stairs in our garage for copperhead snakes. ACK! Today we took it with us to reach up to the roof of the stone hut. Yes, I only took my mobile phone with me for photos. I knew we would be out for a couple of hours and I didn’t want to carry my other camera. Most of the plants that you see in the foreground of the photo above are wild rosemary. The field next to it is gorgeous right now. Do you see a face in the rock? So many things blooming now. I love Spring. Nothing like fresh air. Gorgeous landscapes. Old vines. Irises. Wildflowers (maybe some weeds). Flowers. Thyme. Rosemary. Spending time with my amazing husband. What a great weekend. Oh…and I almost forgot…we saw the first Poppy of the season! Lovely photos. It still surprises me how plants come into flower so much earlier . Irises we don’t usually see until at least May in UK & sunflowers full bloom by June whereas in Northern Europe they are a late summer . Spring comes early in Catalonia. I know…and some Irises have bloomed and died and others are just coming out. Love Spring!